Episode #40 of CCP was entitled “The Contemporary Logos,” a title borrowed from an essay by Fanny Howe, the first guest for the show. That conversation was transcribed many years back and published in Jacket (issue 28). In Fall 2011 Evergreen student Samantha Siciliano had a chance to transcribe the second half of that key program: an interview with poet Martine Bellen on her book of that year The Vulnerability of Order, published by Copper Canyon Press. I'm happy to be able to present that interview here. Certainly one of the preoccupations of CCP has been the use of “spiritual” vocabularies in the act of making poetry (without any quotation marks around the poem). 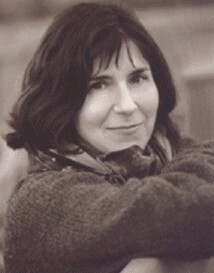 Leonard Schwartz: Martine Bellen is the author of numerous collections of poetry including most recently, The Vulnerability of Order published by Copper Canyon Press. The Vulnerability of Order according to Ann Lauterbach “...Brings to contemporary poetics an acute, agile intelligence revealed in a dazzling array of linguistic orders, as vulnerable as they are powerful. Her inquiry into the nature of spirit is informed by arcs of interlocking knowledge, from a variety of religious practices to biographical incidents in the lives of seven heretical women.” Welcome, Martine Bellen. In such manner Guy Lardeau invites us to contemplate a contradiction – the particular transcendental. Contradiction, because one of the attributes of the transcendental is held to be its universal grounds. Contemplation, because that is what the mind does, at least one committed to both a cognitive process and a mode of thought that goes beyond the simply analytical. One concept that may occur to us here is “strategic transcendentalism”: one holds a condition to be transcendental or necessary to perception itself for specific political or tactical purposes. Another phenomenon that may come to mind here is that of the lyric poem: the lyric poem is a construct capable of maintaining equilibrium among contradictions and as such is singly able to accommodate the needs of such a slippery imperative (“negative capability”). Surely the allure of the poem is partly this, and the concomitant promise of mystery without belief. Our texts are the living evidence of an ethics of ambiguity. 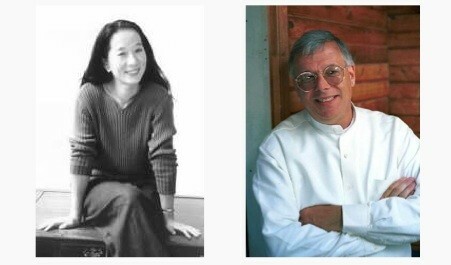 I positioned the transcendental lyric in like manner in my essay from the 1990’s “A Flicker At The Edge Of Things.” Things here — “here” variously meaning in what passes for my mind, the room in which I sit and write, America, the shifting continents — flicker, and poetry is still the flicker at the edge. Leonard Schwartz: Christopher Merrill is a poet and critic, and the author and translator of more than a dozen books, including the highly praised Only The Nails Remain: Scenes From The Balkan Wars. He is also the director of the International Writing Program at the University of Iowa. Welcome, Christopher Merrill. Christopher Merrill: It’s nice to be here, Leonard. 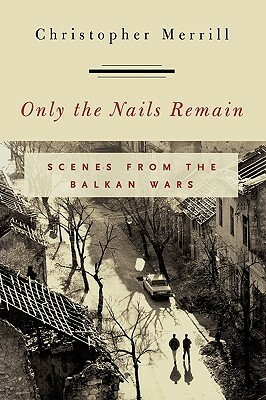 Schwartz: Your book, Only the Nails Remain: Scenes From the Balkan Wars, is an extraordinary book. The San Francisco Examiner and Chronicle wrote, “a poet who has journeyed often on foot through the Balkans, Merrill presents anecdotes from ordinary people encountered during his wanderings, as well as from friends in the arts, and political leaders. The sense of this statement is often more immediately clear to sculptors, to painters, and to other artists who work with physical materials, than it is to writers – or to scientists. As one carves the stone or fashions the wood what one desired or feared comes gradually into view, unknowns are realized in the emerging form, an ambient mystery is for that moment determinate, the non-human is realized in its naissance. To speak of birth is already to anthropomorphize, the image at risk of becoming more and more obvious to the extent we begin to mold it to our image. As opposed to an idea of Nature as the given, I want to identify the non-self identical with “Nature” in order to help me distance it from the definition of Nature that would put it in contrast to History. Nature is the unconscious. 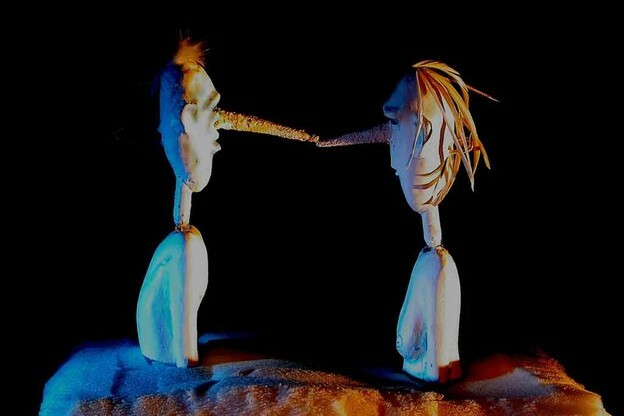 Which is to say that when one picks up materials and begins to tinker with them in a certain way: when one picks up language and begins to fiddle with it, as it were absent-mindedly, or by way of automatic writing, or by chance operations, or by working from the black of the page, the unconscious begins to come into view. 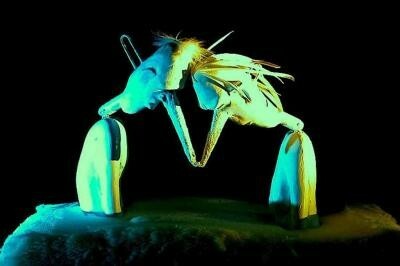 What was in the dark comes into the arena of humanly generated light. What was coiled in the unconscious enters the social. This distinction is not the same as that between subjective and objective, or inside and outside: it is closer to that between wilderness and civilization. In other words, I am referring to a distinction that has been abrogated on earth. Wilderness no longer exists in some pure form, not since the invention of the atom bomb: all present forms of wilderness are dependent on a contingent human choice to go on, to resist the death drive as it were, and therefore, are not independent of human choice. “Nature" is where what we know of ourselves as humans leaves off, where what we don’t know of ourselves as human begins, and yet where something is all the same encountered.